The leader of the Palestinian Authority (PA) Sunday said US President Donald Trump’s peace plan to come but without Jerusalem as part of discussions is the ‘slap of the century’ adding that Palestinians will not take part in the talks. 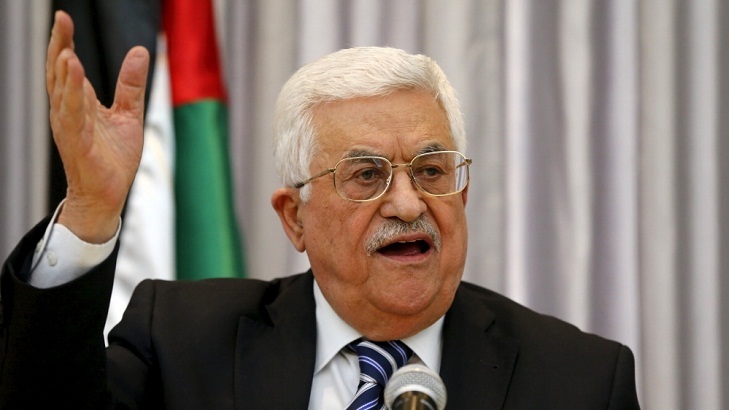 “We told Trump we will not accept his project,” Mahmoud Abbas said at the opening of a meeting of the Palestine Liberation Organization’s Central Council in Ramallah. The US President called “deal of the century” a peace agreement between Palestinians and Israeli that he has tasked his adviser and son-in-law Jared Kushner and his Middle East envoy Jason Greenblatt with. In December, Trump declared Jerusalem capital of Israel, angering Palestinians and Muslim countries. Palestinians hope to establish the capital of their future state in Eastern Jerusalem. Trump later noted that the negotiations will not include Jerusalem that he said was off the table. Following Trump’s December move, Abbas has rejected US-led peace efforts arguing that the White House disqualified itself as a neutral broker. 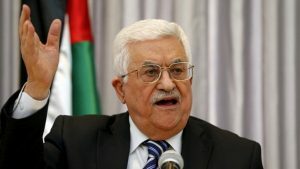 In his speech before the PLO meeting, Abbas said the Oslo accords that led to the creation of his Palestinian Authority and envisioned a final resolution to the conflict were in effect finished. “I am saying that Oslo, there is no Oslo. Israel ended Oslo,” he said, adding that Palestinians will not accept anything the United States may try to impose on them and will not accept its mediation following that crime. Abbas confirmed that Palestinians are being offered in exchange of east Jerusalem Abu Dis, a suburb of Jerusalem in the West Bank, as capital. The Abu Dis proposal seems to be backed by other Arab leaders, mainly Saudi Arabia, which is reportedly aware of the proposed plan being worked out by Kushner and Greenblatt. Abbas was reportedly briefed about the plan during a snap visit to Riyadh. Written by: KanelkaTagba on January 15, 2018. Posted by KanelkaTagba on Jan 15 2018. Filed under Headlines, World News. You can follow any responses to this entry through the RSS 2.0. Both comments and pings are currently closed.